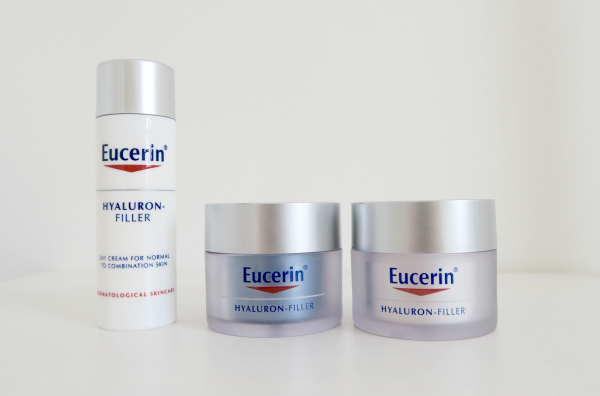 Meet the new Hyaluron-Filler range* from Eucerin- a range of six anti-ageing products. 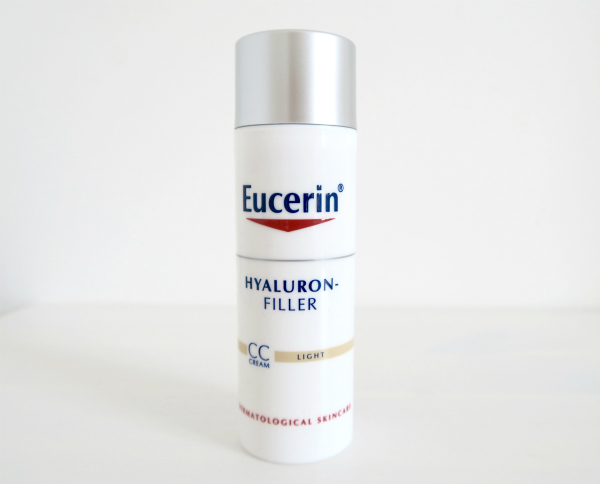 The word 'hyaluron' attracted me instantly as it's one of those words which is often talked about in the beauty and skincare sphere. Hyaluronic Acid is a substance which is formed by skin cells and one of its key functions is to retain moisture. 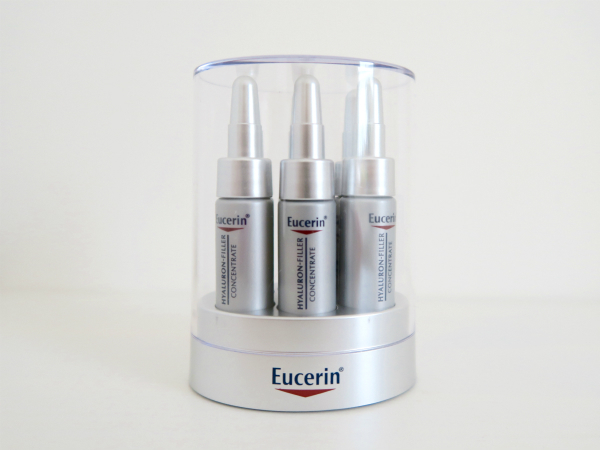 As we age, the skin's natural ability to produce Hyaluronic Acid depletes and wrinkles start to form and deepen. 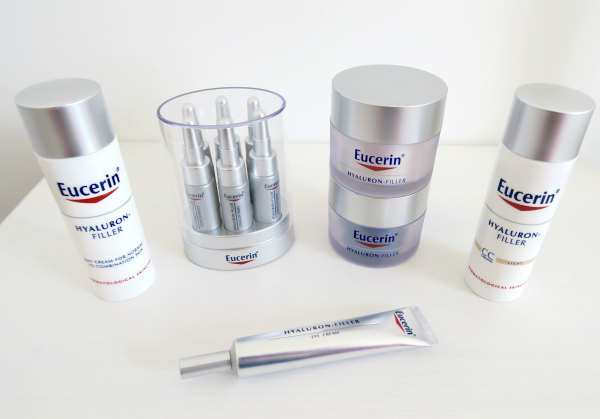 This range from Eucerin contains two different types of Hyaluronic Acid to help target and plump up the appearance of wrinkles. 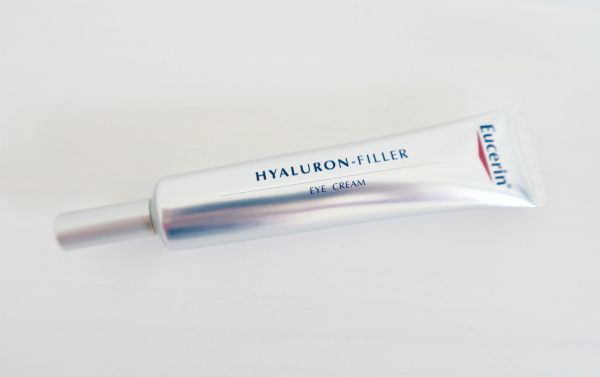 There are six products in the range - an eye cream (I love the packaging of this product! ), two day creams - one for dry skin and one for normal/combination, a night cream, a concentrate (the 6 vials - this product is designed to work with the day cream) and a CC cream. I can't comment on the long term effects of the products but so far, so good. They feel really pleasant to apply and have that traditional, fresh skincare product scent which always makes you feel like it's doing your skin lots of good! 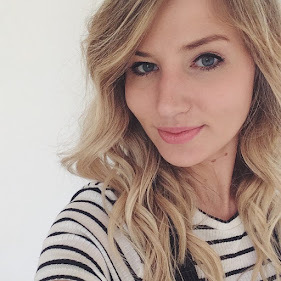 The only product I'm not so keen on is the CC cream - it's not bad, it's just a little average. My favourites are the day cream and the eye cream. Prices start from £16.50 and you can buy the range from Boots.